My Paper Trove: Paper Sweeties July Sketch Inspiration Challenge #9! 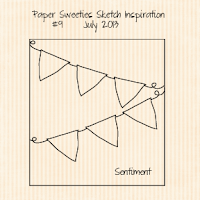 Paper Sweeties July Sketch Inspiration Challenge #9! 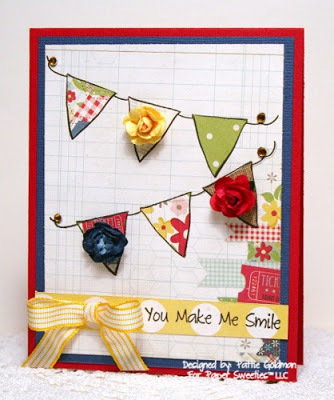 I used the very versatile Pennant Party set and paper-pieced it with these super sweet papers! My sentiment is from the You Make Me Smile set and I added a little striped bow, a few paper roses and some gems to anchor my pennants! Be sure to stop by the Paper Sweeties Blog for all the details of the challenge and to see what the rest of the Design Team has made to inspire you! This is just darling Pattie! Love the sweet papers you used!